Let’s jump back a few weeks, and over to the northwest corner of Borneo. 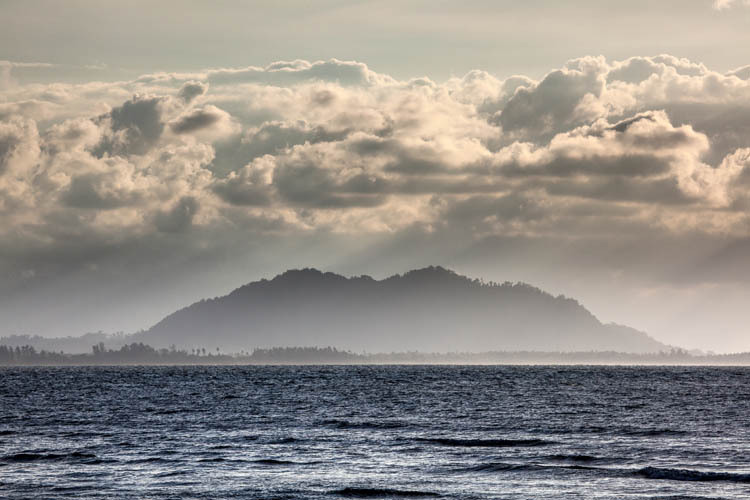 Out of Indonesia and into Sarawak, which (along with the neighbouring state of Sabah) forms ‘East Malaysia’. And there in Sarawak we find the Bako National Park. At just over 20 sq km, Bako is one of Malaysia’s smallest. It’s also one of the most accessible, being only an hour by bus and boat from Kuching, the biggest city in Sarawak. 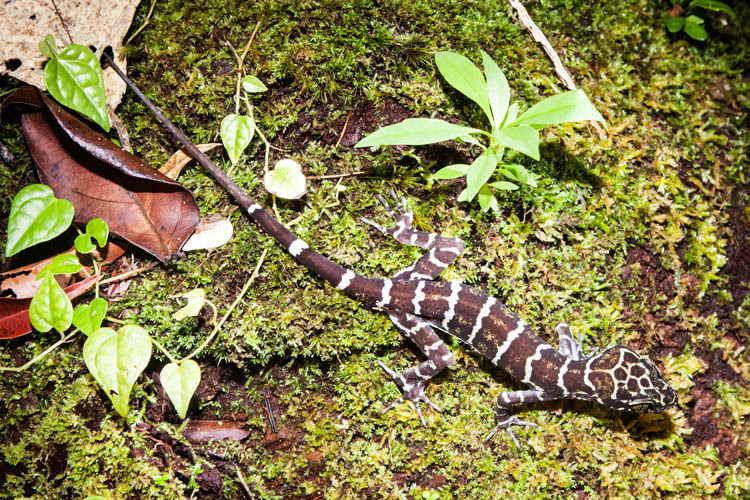 In spite of its small size and accessibility, Bako incorporates a wide range of eco-systems, and it is one of the best places in Borneo to see some wildlife. The landscape types range from peat swamp forest in the low areas through to dry sandy scrub country up in the high plateau at the centre of the park. 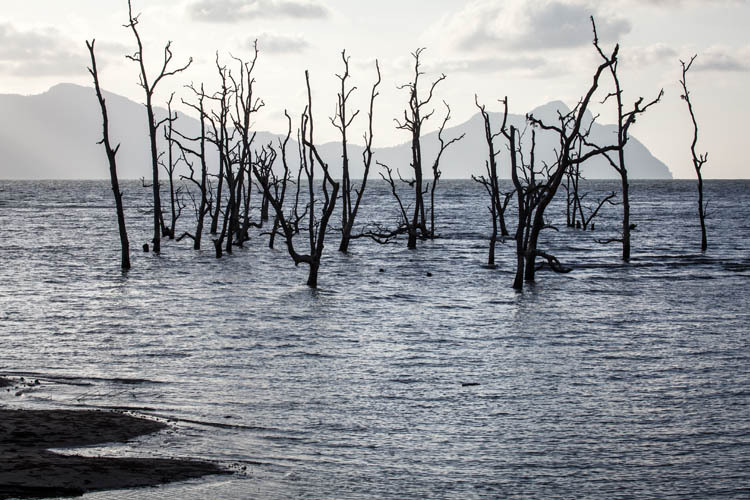 This latter landscape is known as kerangas, which means something like: “heathy land that is too poor to grow rice on”. If you squint your eyes a bit, a lot of it looks like the Australian bush. 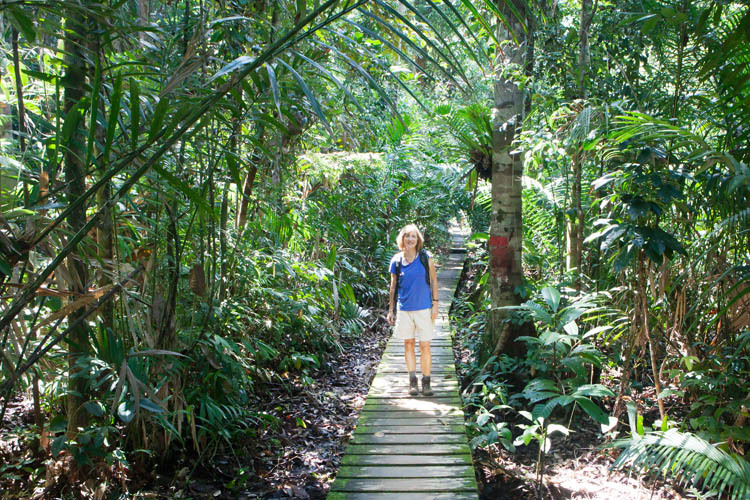 But our favourite parts were the wet jungly bits in the swamps and the lower hillsides, which are so full of life. The park is pretty well set up for the visitor who wants to explore a little. There’s accommodation in a number of lodge style buildings, and a dining hall that offers a surprisingly good buffet. Then there is a network of paths giving access to most areas of the park. 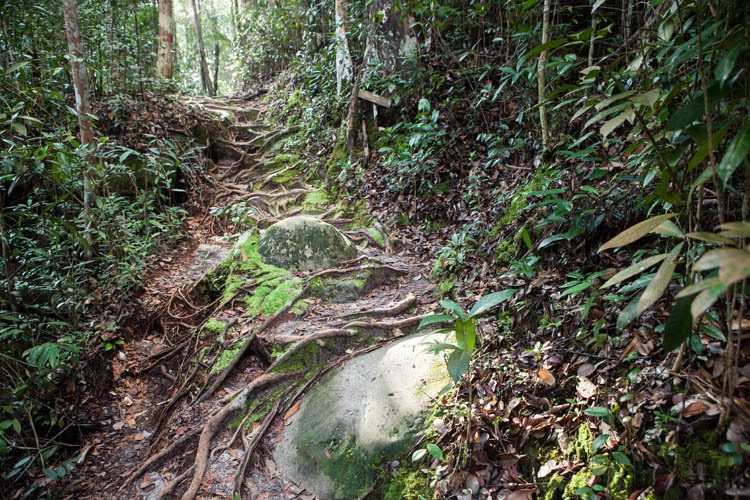 The paths are generally well maintained, signposted, with wooden walkways where the ground is boggy or the landscape sensitive. There are several loop tracks that can be followed so that you don’t have to retrace your steps. 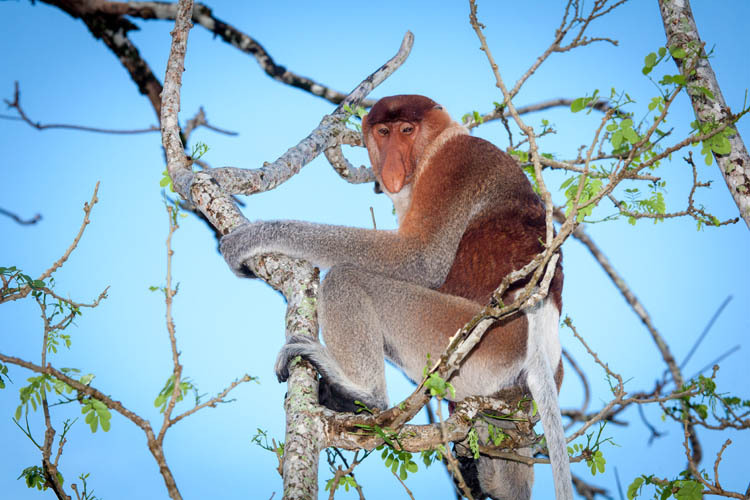 The Proboscis monkeys are listed as endangered, but we have now encountered them in four different locations around the island. In Bako the resident band seem to be fairly accustomed to human company, and so they are less shy about being photographed. However the one above seemed embarrassed about letting us see his big nose. They are immensely entertaining to watch, and are more expressive, and seem more human, than many humans. I think the one in the photo above may have been experiencing some kind of religious ecstasy. 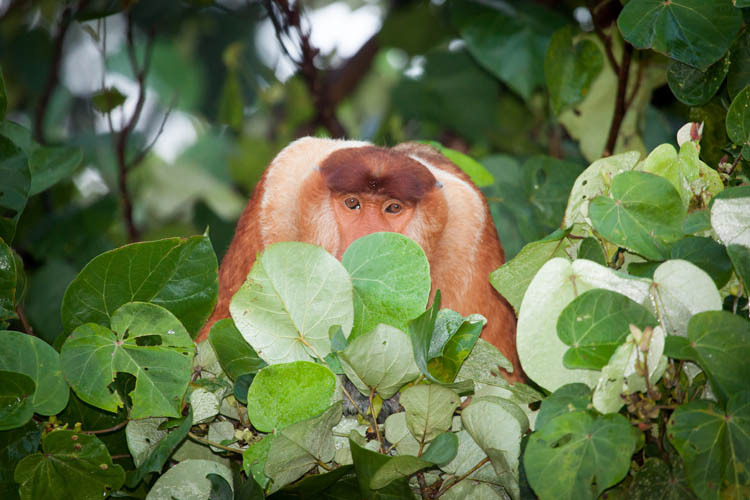 Proboscis monkeys aren’t the only primates in the park. 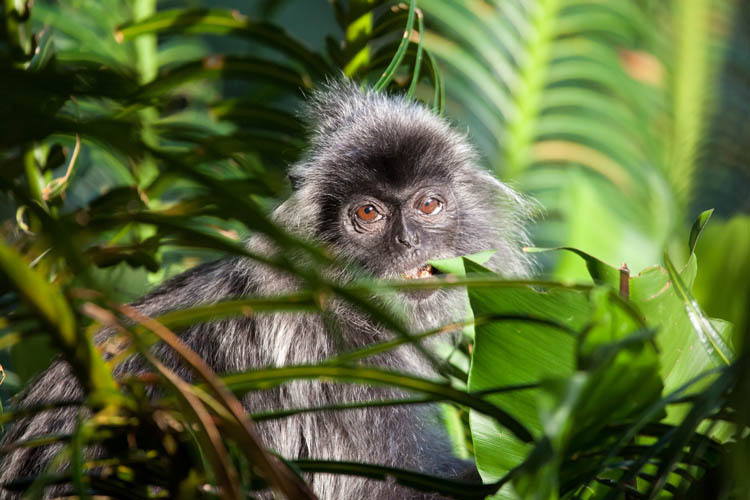 The Silver Leaf Langur has a luxuriant black coat with silver streaks, and fine-boned delicate features. They are shy. 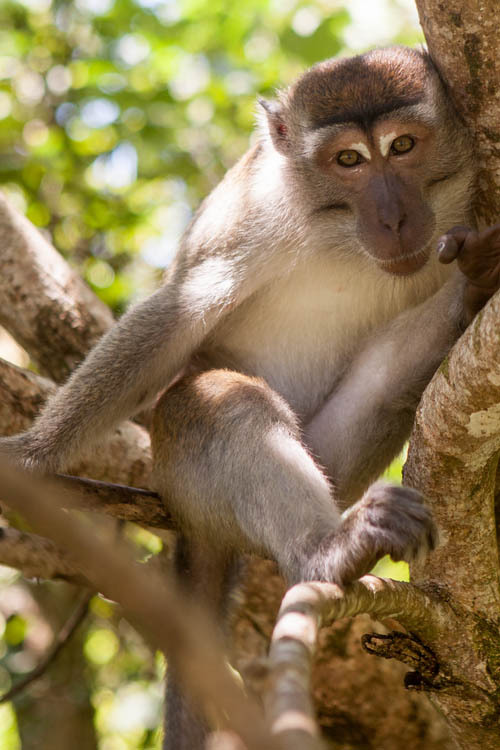 The macaques are not shy. In fact they are so not-shy that there are warning signs about keeping your door closed so they won’t come in and make off with your valuables. They are only after food of course, but they can be very cheeky-naughty as they pursue it. 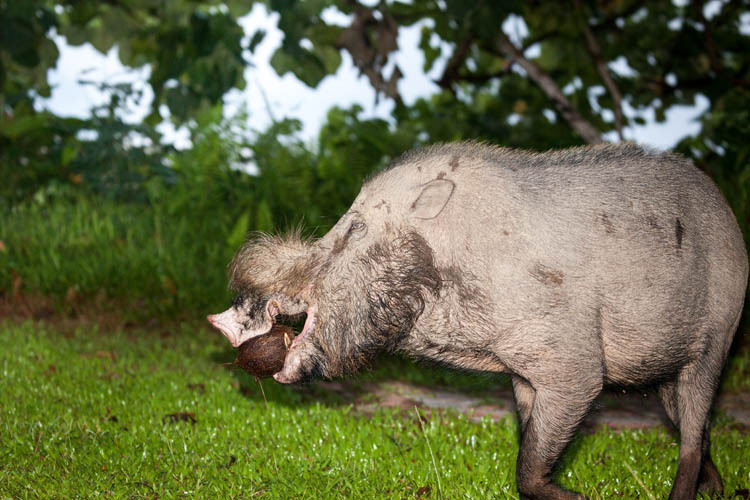 Wild pigs (babi hutan) are common in the forests throughout Borneo. 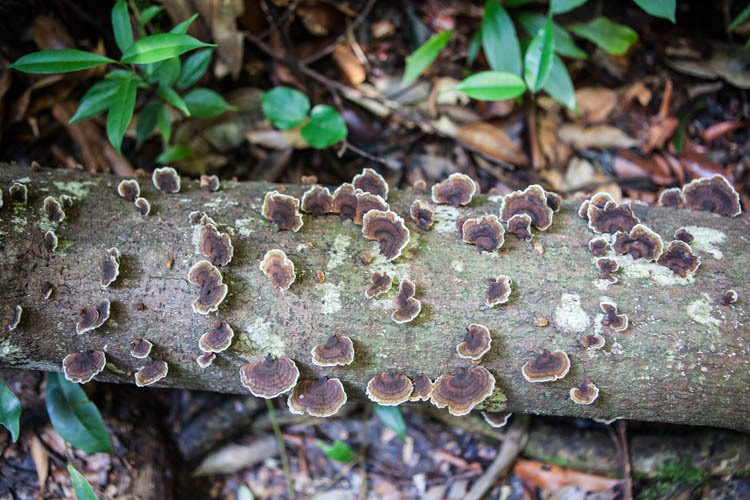 The Dayak people particularly like to eat babi, and in many villages Dayak men spend much of their time hunting, with traps, rifles, dogs, bush knives and even spears. There are a few varieties, with the bearded pig being perhaps the most interesting, largest – and possibly the ‘cutest’. Being a predominantly Muslim country it’s uncommon to find any restaurant that serves pork. There are however some restaurants which specialise in pork (and/or dog) meat. 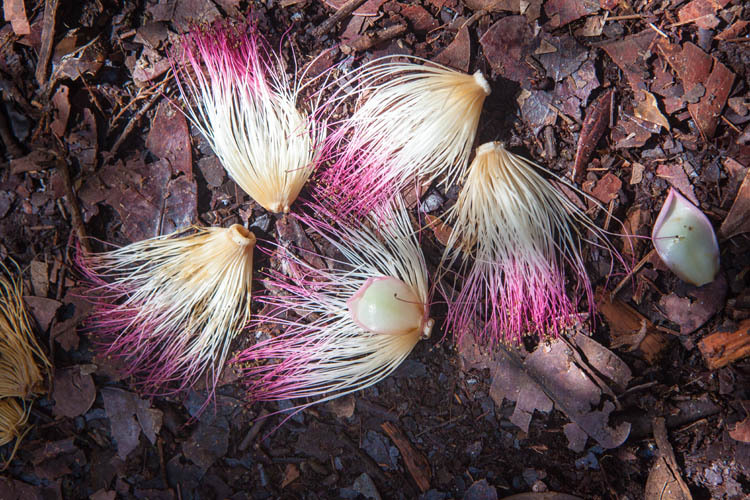 These are identified by a sign out front saying “BB” (which is code for ‘babi’). 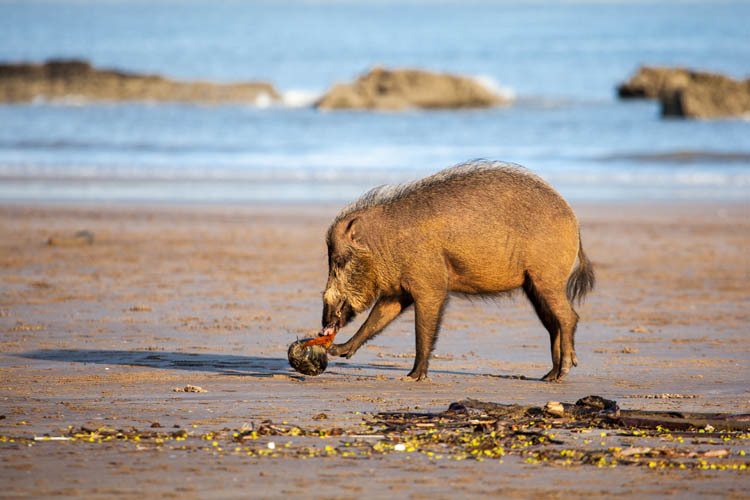 The bearded pigs at Bako wander freely around the visitor centre and adjacent beach, unperturbed by any people they encounter. No hunting is allowed in the park! They are strong enough to tear open coconuts, and it’s entertaining to watch them kick them around like footballs as they break them open. Less entertaining is their other great love – garbage bins – which they like to tip over so they can snuffle through the contents. 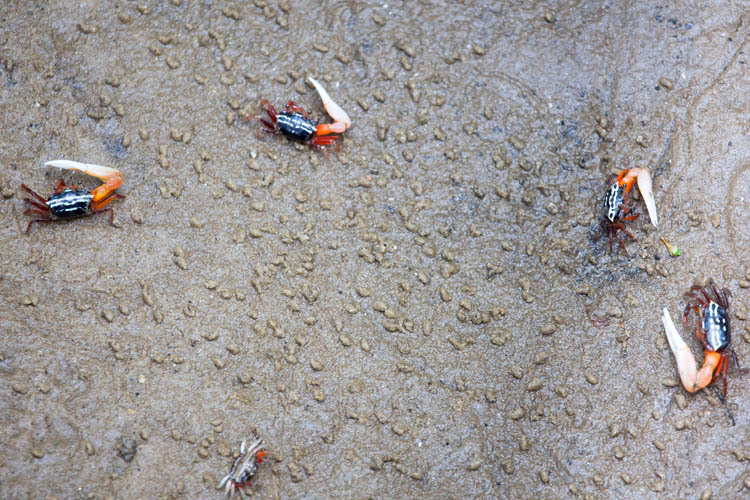 These tough little crabs are in training for an arm wrestling competition. 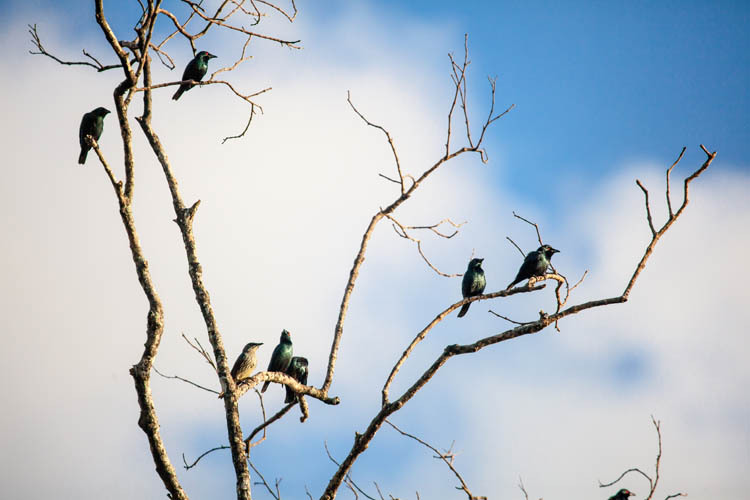 Asian Glossy Starlings – noisy, and very common from India through to the Philippines. 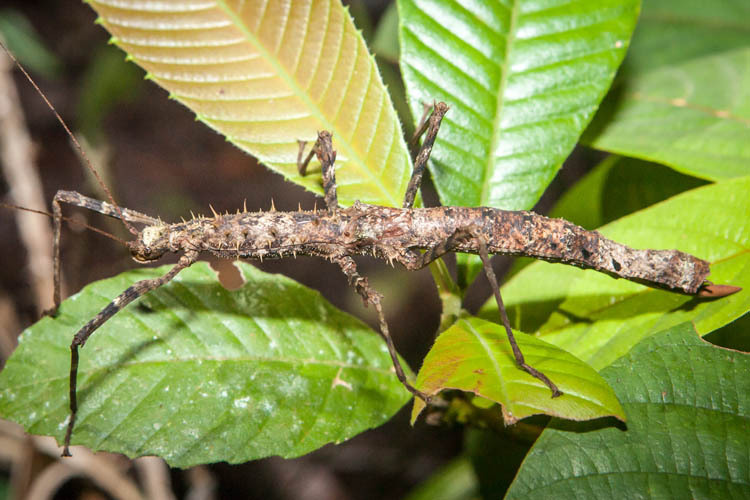 When he pulled in his legs, this stick insect (above) bore a remarkable resemblance to… a stick. I forget the name of this one. He (or she?) 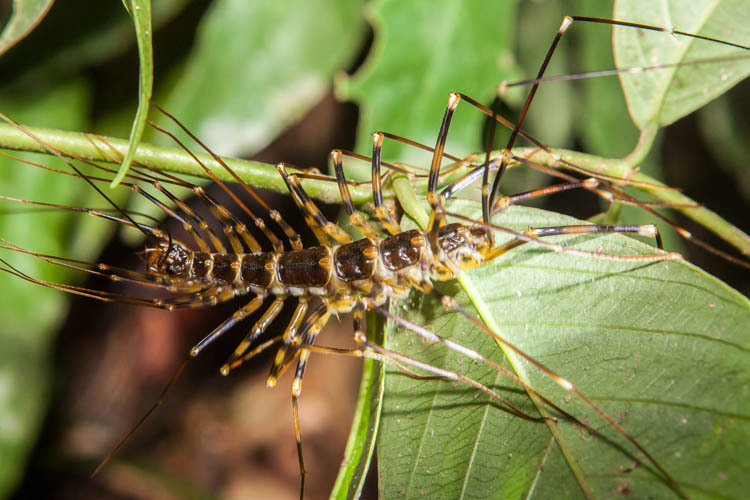 was about 20cm long, and looked fearsome and truly alien. Lots of spiders, in all sizes and colours. 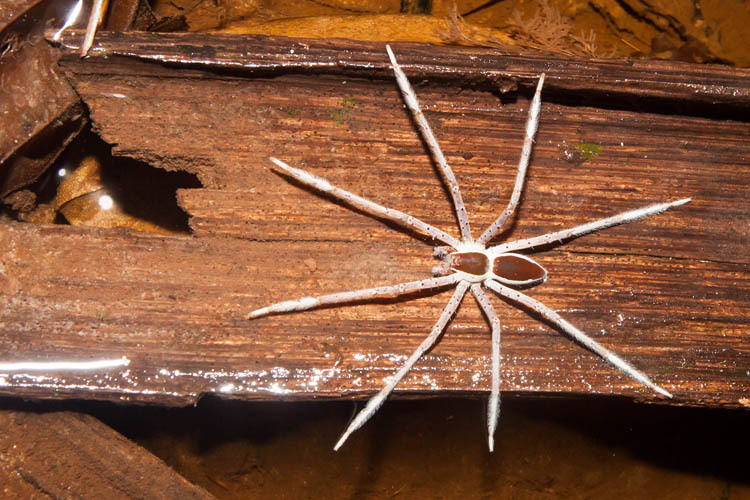 This water spider wasn’t colourful, but he was quite beautiful, particularly the way he kept his (her?) legs at exactly 45 degrees apart. 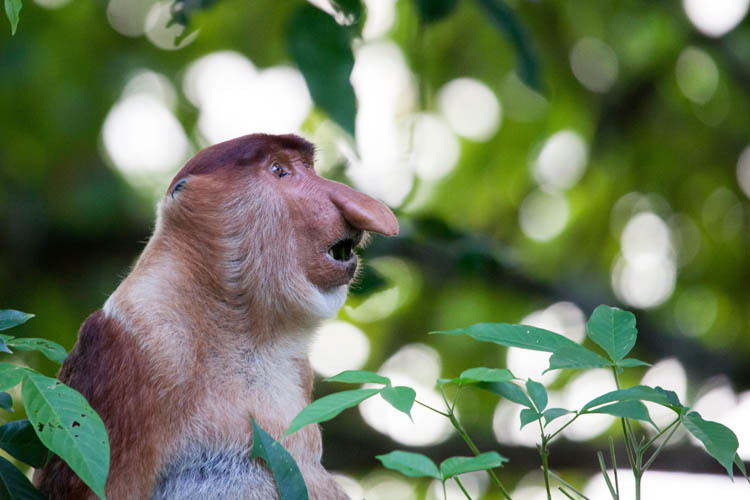 This entry was posted in General and tagged Bako National Park, Bearded Pig, Borneo, Proboscis Monkey, Sarawak, Silver Leaf Langur, spiders. Bookmark the permalink.